Engelbreit, Mary. Mary Engelbreit. Decorating Ideas. Projects to Make for Indoors and Out. Photo available. Des Moines. Merideth. 2001. 4to. Hard cover. First edition. Illustrated in black, white and color. Fine copy in fine dust jacket (in mylar). Engelbreit, Mary. Mother O'Mine. A Mother's Treasury. Photo available. Kansas City. Andrews McMeel. 2000. Octavo. Hard cover. First edition. Illustrated in black, white and color. Fine copy. Engelbreit, Mary. Queen of the Class. New York. HarperCollins. 2004. Octavo. Hard cover. First edition. Illustrated in black, white and color. Fine copy (lacks paper doll in rear pocket) in fine dust jacket (in mylar). Engen, Rodney. Kate Greenaway. A Biography. New York. Schocken. 1981. 237 pps. Octavo. Hardcover. First edition. Fine copy (end paper glued to front board) in fine dust jacket (in mylar). Engen, Rodney. 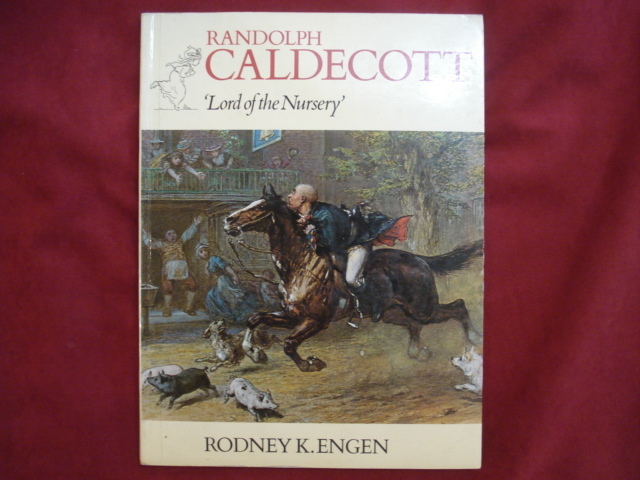 Randolph Caldecott. 'Lord of the Nursery'. Photo available. London. Oresko. 1976. 4to. Soft cover. First edition thus. Illustrated in black, white and color. Ex-libris. Numbers on spine, stamp on title page, otherwise very nice copy. Engen, Rodney. 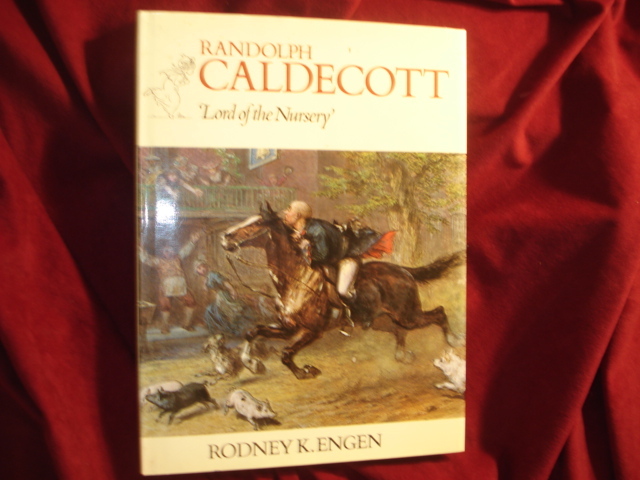 Randolph Caldecott. 'Lord of the Nursery'. Photo available. London. Bloomsbury Books. 1976. 4to. Hardcover. First edition. Illustrated in black, white and color. Fine copy in fine dust jacket (in mylar). Engle, Paul. Who's Afraid. np. Crowell-Collier. 1963. Octavo. Decorated hard cover. First edition. Illustrated. Fine copy. Engvick, William (ed), Maurice Sendak and Alec Wilder. Lullabies and Night Songs. Photo available. New York. Harper & Row. 1965. 78 pps. 4to. Gilt decorated hard cover. First edition. Illustrated in black, white and color by Maurice Sendak. Fine copy in near fine (very light shelf wear) dust jacket (in mylar). Erskin, Gladys Shaw. Little Pepito of Central America. New York. Grosset & Dunlap. 1941. Octavo. Hardcover. First edition. Illustrated. Fine copy. Esoldi, Vin. May Maisey Moo's Cowllection of Moo Tales. Volume I. The Convention. Clinton. Paula Press. 1999. 4to. Hardcover. First edition. Illustrated in color and black & white. Fine copy in near fine dust jacket (in mylar). Euvremer, Teryl. Sun's Up. New York. Crown Pub. 1987. Octavo. Hard cover. First edition. Illustrated in black, white and color. Fine copy in fine dust jacket (in mylar). Evans, Richard Paul. The Christmas Candle. New York. Simon & Schuster. 1998. Octavo. Decorated hard cover. First edition. Illustrated in color and black & white by Jacob Collins. Fine copy in fine dust jacket (in mylar). Exley, Richard (ed). Dear World 'How I'd Put the World Right' - By Children of Over 50 Nations. Toronto. Methuen. 1978. 4to. Hard cover. First edition. Illustrated in black, white and color. Fine copy in edge chipped dust jacket (in mylar). Falconer, Ian. Olivia Saves the Circus. New York. Atheneum. 2001. 4to. Hard cover. First edition. Illustrated in black, white and color. Folding plates. Fine copy in very good (taped, closed tear on front panel) dust jacket (in mylar). Falconer, Ian. Olivia. New York. Atheneum. 2000. 4to. Hard cover. Reprint. Illustrated in black, white and color. Folding plates. Fine copy in very good (taped, closed tear on front panel) dust jacket (in mylar). Falconer, Ian. Olivia. New York. Atheneum. 2000. 4to. Hard cover. Reprint. Illustrated in black, white and color. Folding plates. Fine copy in fine dust jacket (in mylar). Falconer, Ian. Olivia... and the Missing Toy. New York. Atheneum. 2003. 4to. Hard cover. Reprint. Illustrated in black, white and color. Folding plates. Fine copy in fine dust jacket (in mylar). Fanelli, Sara. Wolf. New York. Dial. 1997. 4to. Hardcover. First edition. Illustrated in color and black & white. Fine copy in near fine dust jacket (in mylar). Farago, Stephanie. 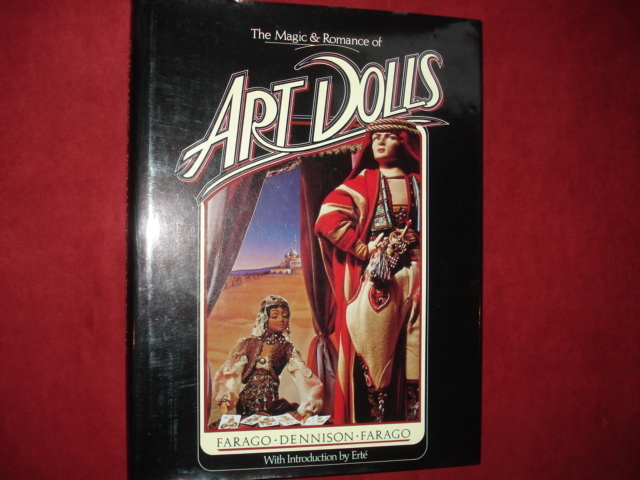 The Magic & Romance of Art Dolls. Inscribed by the authors. Photo available. Los Angeles. Self published. 1986. 4to. Hard cover. First edition. Illustrated in black, white and color. Inscribed by the authors. Fine copy in fine dust jacket (in mylar). Farley, Walter. Blood Bay Colt. Photo available. New York. Random House. 1950. 307 pps. Octavo. Hardcover. Reprint. Fine copy in very good (light shelf wear) dust jacket (in mylar). Farley, Walter. 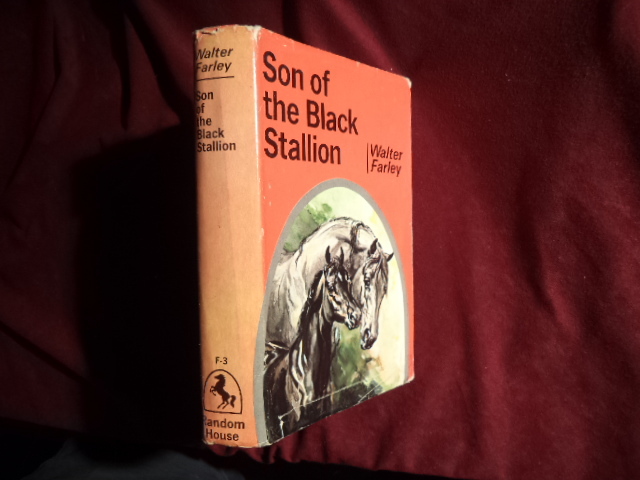 Son of The Black Stallion. Photo available. New York. Random House. 1947. 330 pps. Octavo. Hardcover. Reprint. Illustrated by Milton Menasco. Fine copy in fine dust jacket (in mylar). Farley, Walter. The Black Stallion and Flame. Photo available. New York. Random House. 1960. 213 pps. Octavo. Hardcover. Reprint. Illustrated by Harold Eldridge. Fine copy in fine dust jacket (in mylar). Farley, Walter. The Black Stallion and Satan. Photo available. New York. Random House. 1949. 230 pps. Octavo. Hardcover. Reprint. Illustrated by Milton Menasco. Fine copy in fine dust jacket (in mylar). Farley, Walter. The Black Stallion Returns. Photo available. New York. Random House. . 230 pps. Octavo. Hardcover. Reprint. Illustrated by Harold Eldridge. Fine copy in fine dust jacket (in mylar). Farley, Walter. 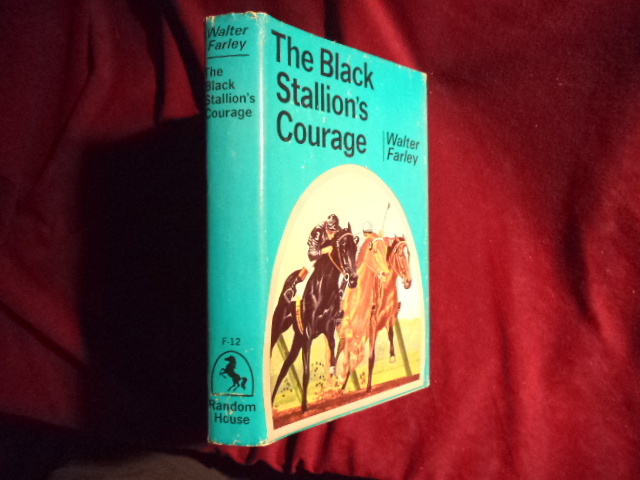 The Black Stallion's Courage. Photo available. New York. Random House. 1956. 242 pps. Octavo. Hardcover. Reprint. Fine copy in fine dust jacket (in mylar).